I first met Rhonda Riley at the amazing bookfest Booktopia in Bellingham, Washington. 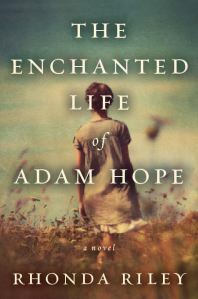 But I knew of her long before that, because I had fallen in love with her novel, The Enchanted Life of Adam Hope. The novel's about a young woman finding injured soldier Adam on her family's farm. He's not like her. He may not even be human. But even so, they fall in love. Sound magical? It is, indeed. Gorgeously written, the book really asks: how do we come to know the ones we love? 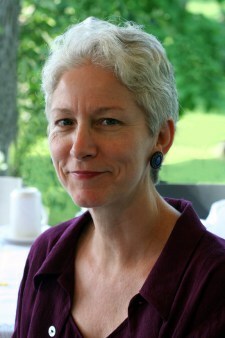 I'm honored to have Rhonda here on the blog to talk about her creative process. Thank you, Rhonda! For me writing has always been a process of getting a single idea, image, or sensation and following it without worrying about where it is taking me. The question of “where is this going?” of “what am I trying to say?” comes later in the revision and refining process. Writing that first draft feels like lucid dreaming, like those rare times in dreams in which I realize I am dreaming and therefore creating the scenes of the dream as I am moving through the dream. Perception and creation are simultaneous, a buoying and lush process and completely non-editorial. When I was a girl, there was a small swampy pond nearby choked with water hyacinths. I discovered that if I moved quickly and did not pause, I could walk on them, crossing the pond. If I stopped or slowed, I sank. I still have a scar near my Achilles tendon from the time when a submerged stick skewered my ankle after I paused to marvel over the fact that I was walking on water. In some ways writing feels a lot like reading. Good fiction inspires me. I read for the same reason I want to write, both satisfy a similar itch in the brain and the heart. How-to-write books, though they may be helpful in the editing process, are the antithesis of creativity for me. They make me anxious and hyper editorial. And anxiety is synaptic white noise, it neutralizes my creativity. For those times when it I can’t find that creative “on” button, environment and structure are crucial. Now that my book tour and vacations are over, I am working on a new novel, unrelated to The Enchanted Life of Adam Hope, while also researching a sequel to Adam Hope. Once again I am discovering how significant environment can be. I’m in the process of setting up an e-free writing zone and returning one of my computers to its virgin state. That is, I will be writing on a computer that is unplugged in a room without other distractions (BTW such computers have the advantage of being unattractive to other, especially younger, family members). No phone, no Internet. My “new” study doesn’t have windows. It’s lit by skylights. So I won’t even have the distraction of squirrels and butterflies. I really, really hate to admit what a lazy, distractible person I am. It’s necessary for me to create a good writing space and try to maintain a kind of schedule. Believe me; I have tried operating on whim--my natural inclination. And I am not one of those people who can easily form habits. But I find that if I make myself sit down and start writing, I will at least get something done. If I feed the muse with space and time, she will eventually come back.